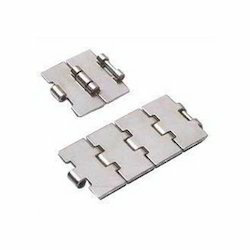 We have gained expertise in delivering a quality-assured range of Sheet metal parts like Slat Band Chains, Hinges. These parts are fabricated under the surveillance of our professionals using mild and stainless steel. The offered parts find their extensive applications in food processing, chemical and pharmaceutical industries. Moreover, our offered parts are widely appreciated in the market for their features such as excellent dielectric strength and resistance against corrosion. Our company is engaged in fabrication of quality Slat Conveyor Belt. They are widely used in mining, metallurgical and coal industry to transfer sandy or lump material, or packaged material. 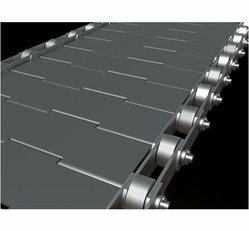 These Slat Conveyor Belts and conveyor system are offered at competitive prices and are customize as per the specification and requirement of our clients.